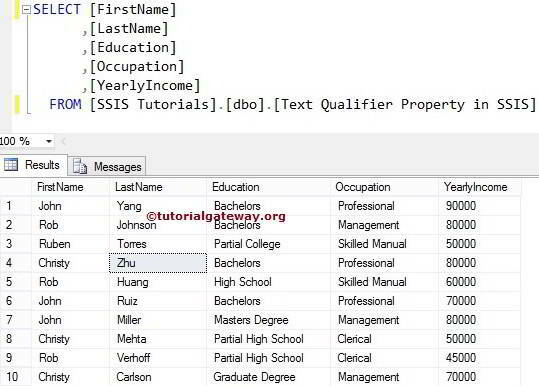 The Text Qualifier in SSIS or How to remove Double Quotes in csv file or How to remove Double Quotes in flat file are the most common question asked in any SSIS Interview. 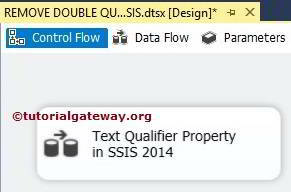 In this article we will show you, How to get rid of Double Quotes in csv file using Text Qualifier in SSIS with live example. 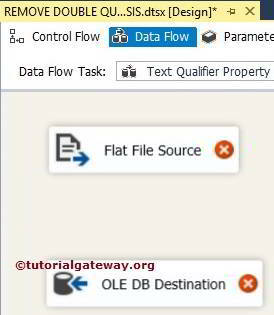 STEP 2: Drag and drop Flat File Source and OLE DB Destination from toolbox to data flow region. 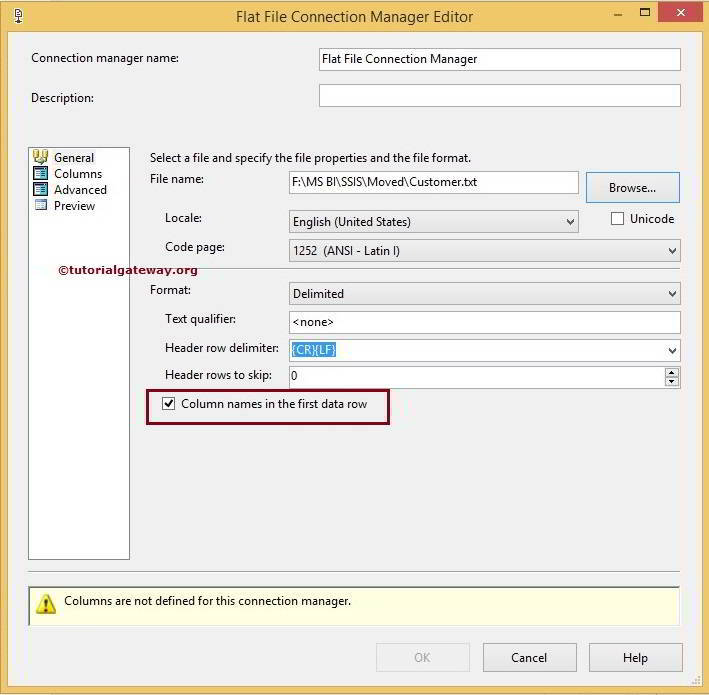 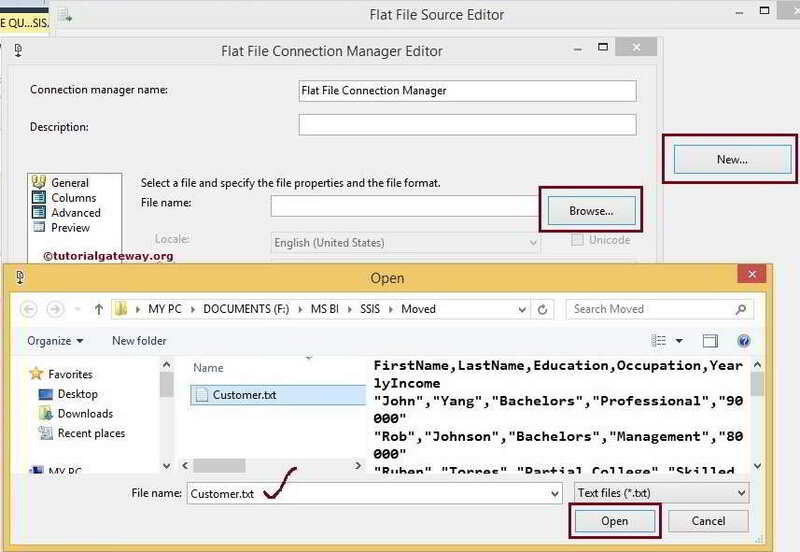 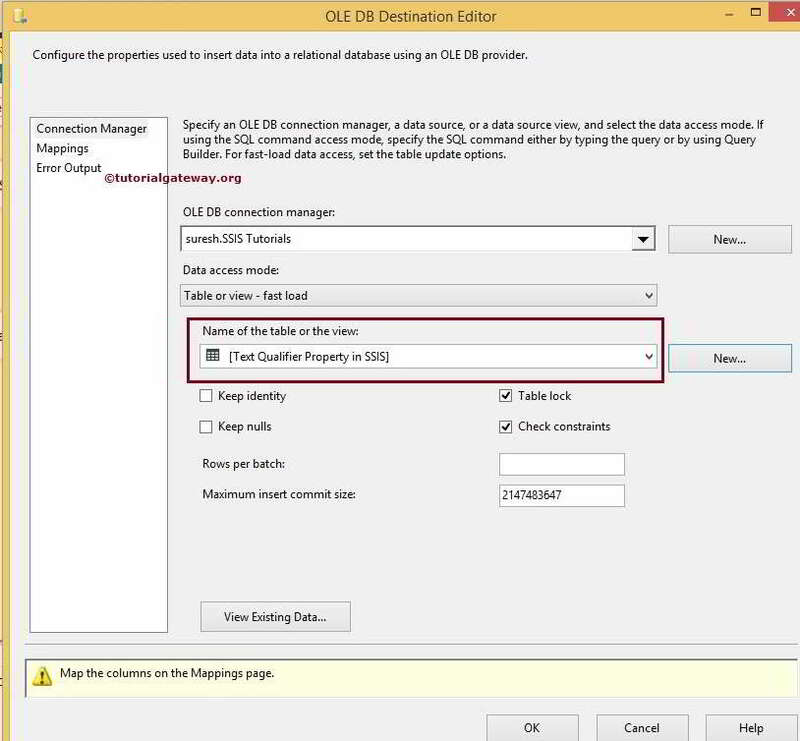 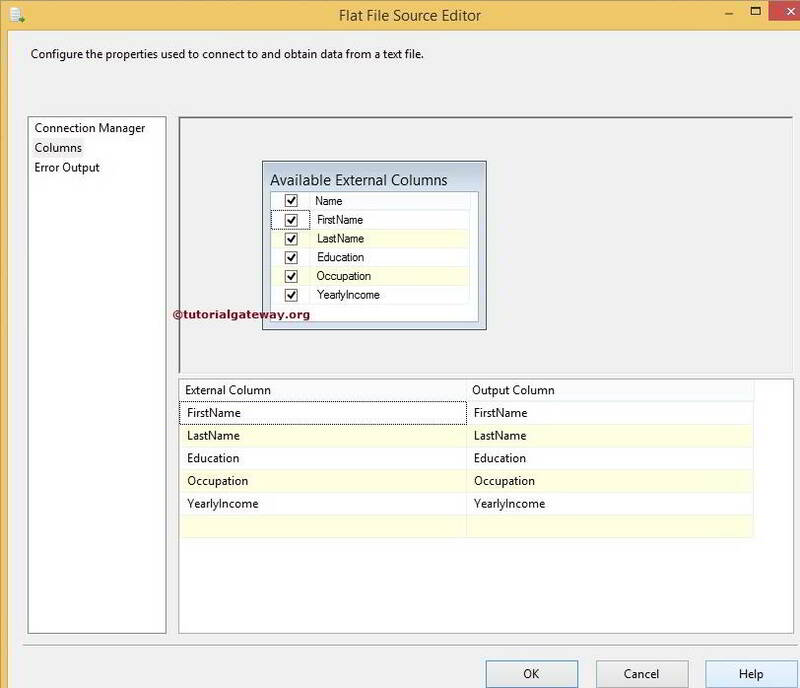 Double click on Flat File Source in the data flow region will open the Flat File Source Editor to configure the connection manager settings. 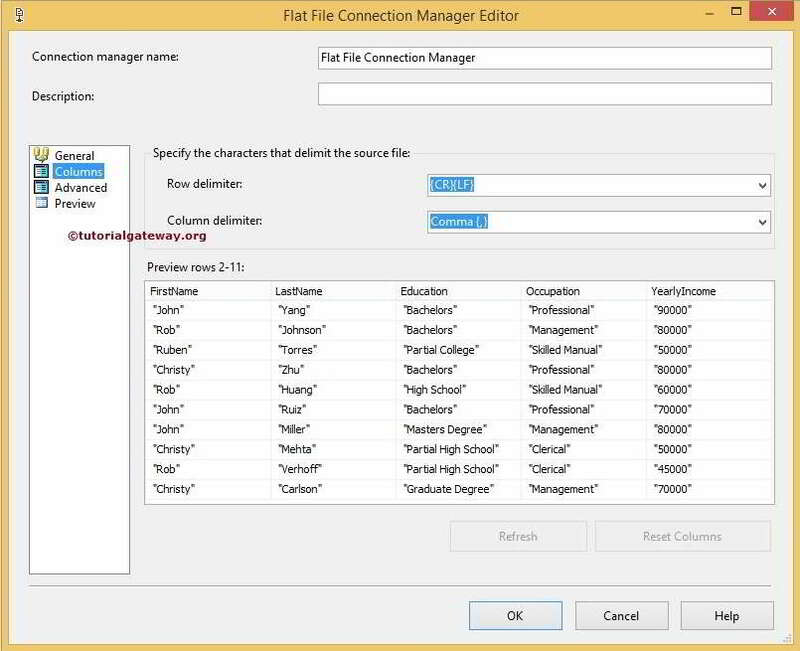 If you haven’t created Flat File Connection Manger before click on the New button. 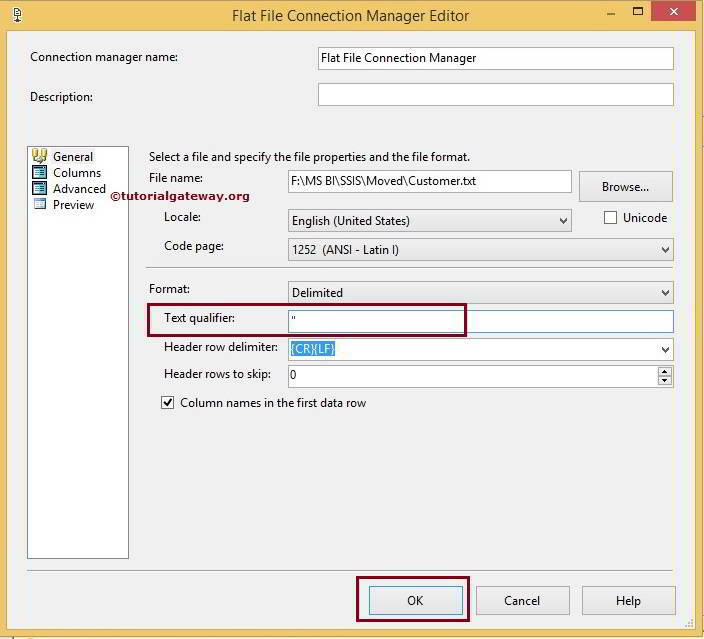 Click OK will close the Flat File Connection Manager Editor. 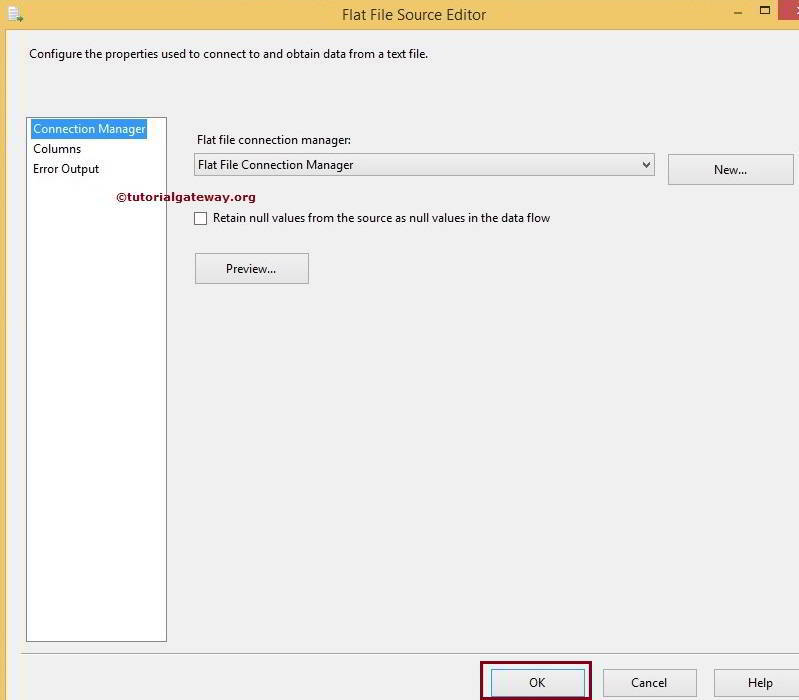 If you want to retain the Null values as Nulls, Please check mark Retain null values from the source as null values in the data flow option. 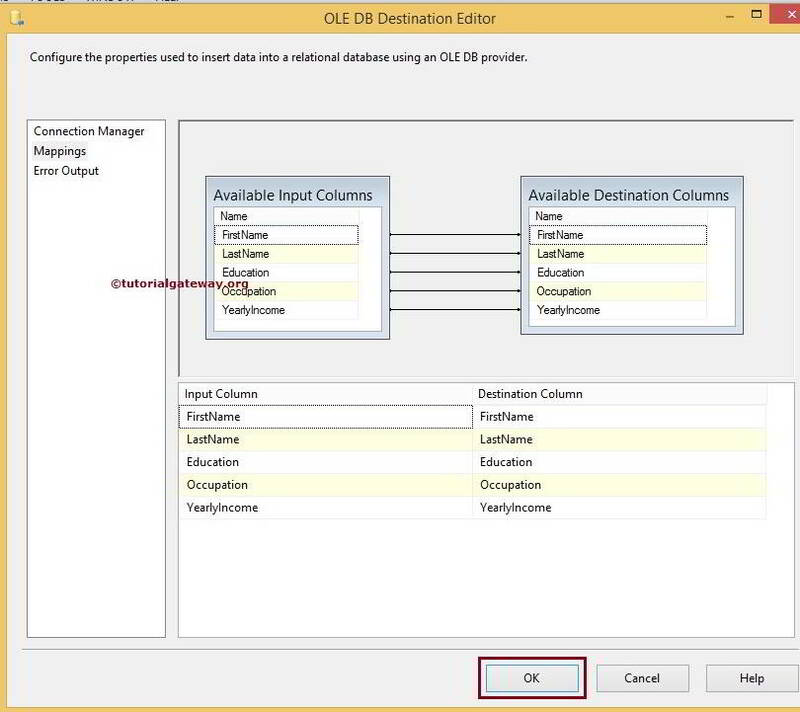 Click OK and drag and drop the Flat File Source output on to OLE DB Destination.